AN EXTREMELY WELL PRESENTED TWO DOUBLE BEDROOM FLAT. 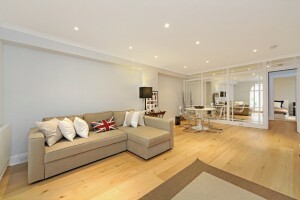 LOCATED MOMENTS FROM MOTCOMB STREET.£2.250.000. Located in a private and quiet cul-de-sac on the west side of charming Kinnerton Street this property has been modernised and would make an ideal pied-a-terre or investment.